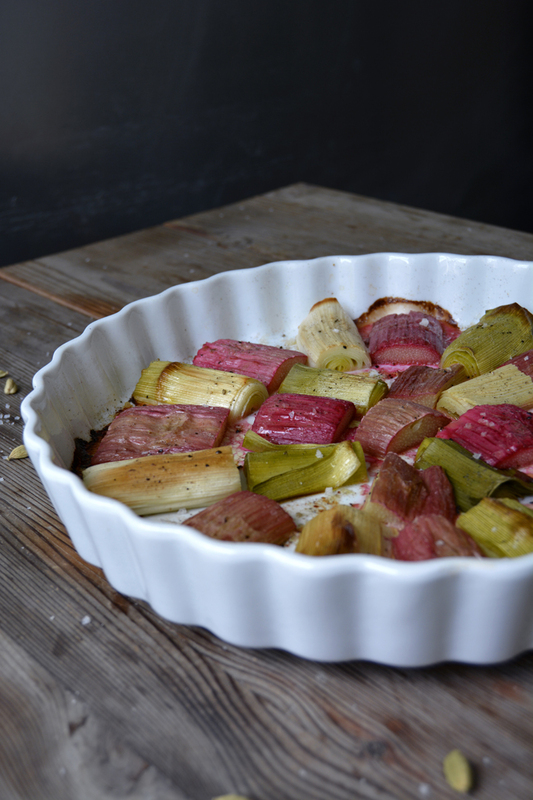 For weeks I have been thinking about combining leek and rhubarb in a gratin, the sourness of the fruity stalk and the onion’s distinct spiciness seemed like a special match. 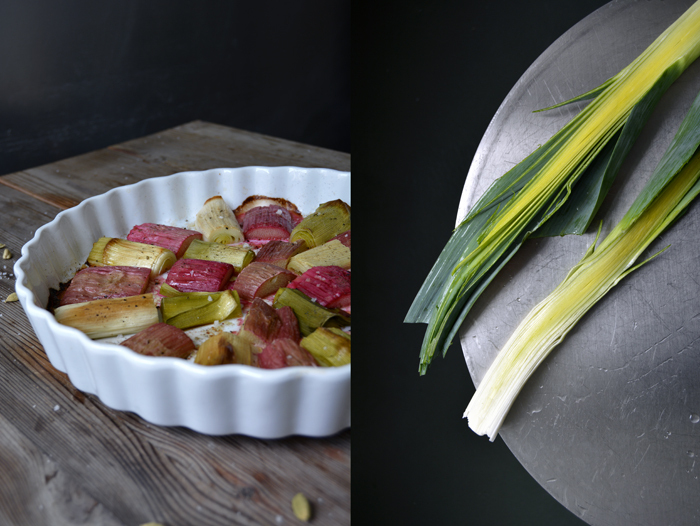 Weeks and many other recipes have past, but I finally found the time to sit down and think about the right composition to make this duo work. At first, I started off with a pinch of cardamom, this spice adds a nice warming touch, but something was still missing. I took a quick look at my herb garden in front of my bedroom window, that’s the place where I keep all my little pots at the moment. The plants spread a mesmerizing smell in the afternoon sun and filled the air with the nicest aroma of rosemary, thyme, sage, oregano, marjoram, tarragon, chervil and lovage. 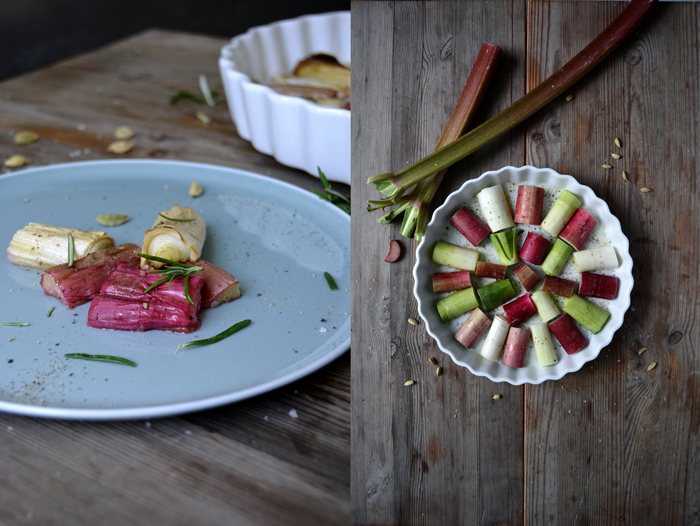 I started to pick some thyme leaves but realised it would be too strong for my gratin, rosemary and its woody taste was the missing link in my composition, it made it complete! 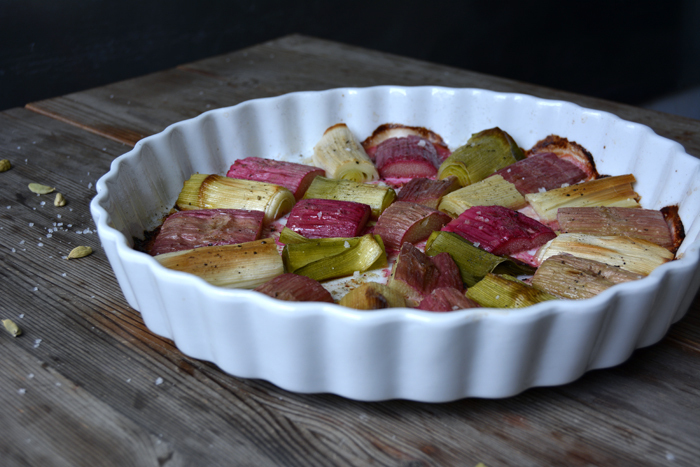 Set the oven to 200°C / 390°F (top / bottom heat) and oil the bottom of a baking dish. 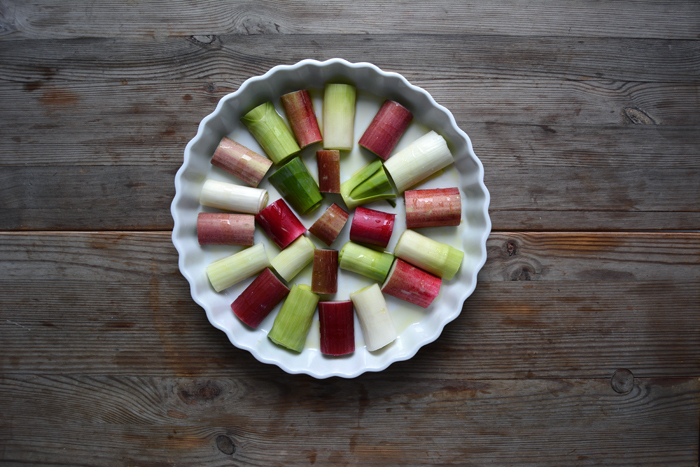 Arrange the leek and rhubarb in circles in the baking dish and coat with 2 tablespoons of olive oil. Sprinkle with salt, pepper, cardamom and a little sugar. Bake in the oven for 20-25 minutes or until golden and soft. 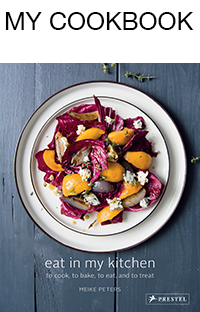 Sprinkle with fresh rosemary and season to taste. 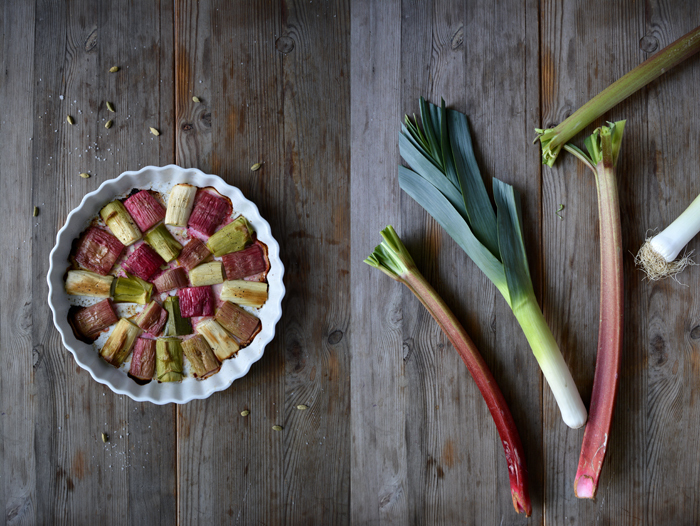 I think this sounds like a wonderful idea Ive never tried rhubarb and leek but I think they would be awesome together.